Ford has been the best selling truck in America for the past 41 years. 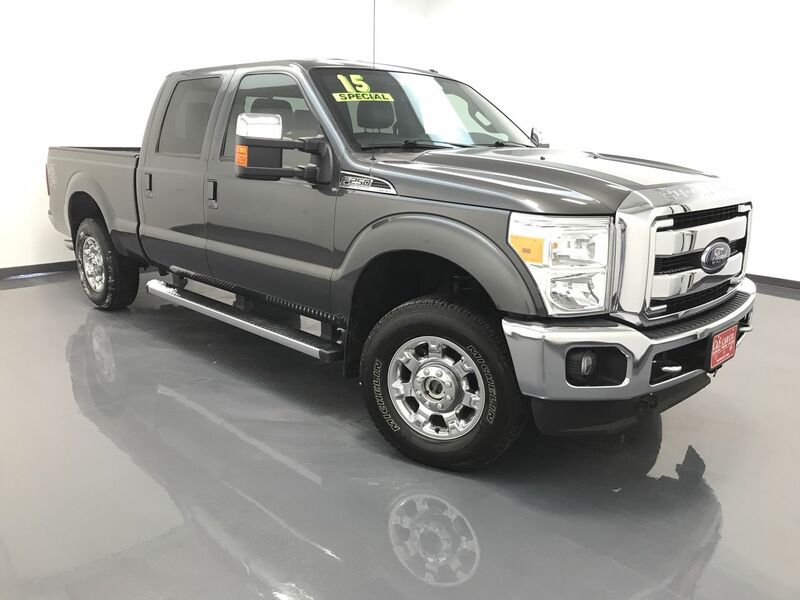 This 2015 F-250SD LARIAT is a crew cab 3/4 ton 4x4 with a long bed. There is a leather interior with heated, cooled, and power assisted front seats, as well as a 2 person memory for the driver's seating position. There is keyless entry, power adjustable pedals, dual climate controls, an electronic trailer brake controller, a back up camera with sensors, and power folding exterior mirrors that are also power extending/retracting for better views while towing. The infotainment system has navigation, an AM/FM/CD sound system, Sirius satellite radio, and Bluetooth connectivity. Exterior highlights include 18" alloy wheels with Michelin tires, running boards, a 2" receiver hitch, and a B&W 5th wheel hitch. **One Owner** Call C & S Car toll free at 866-212-8718 or locally at 319-291-7321.